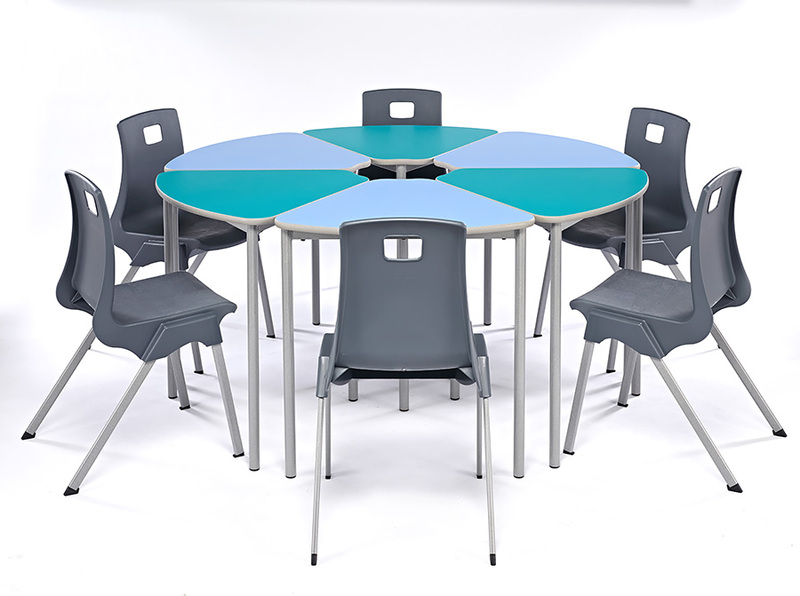 The stylish Segga classroom table is supplied in a set of 3 and provides ultimate flexibility for any education setting. 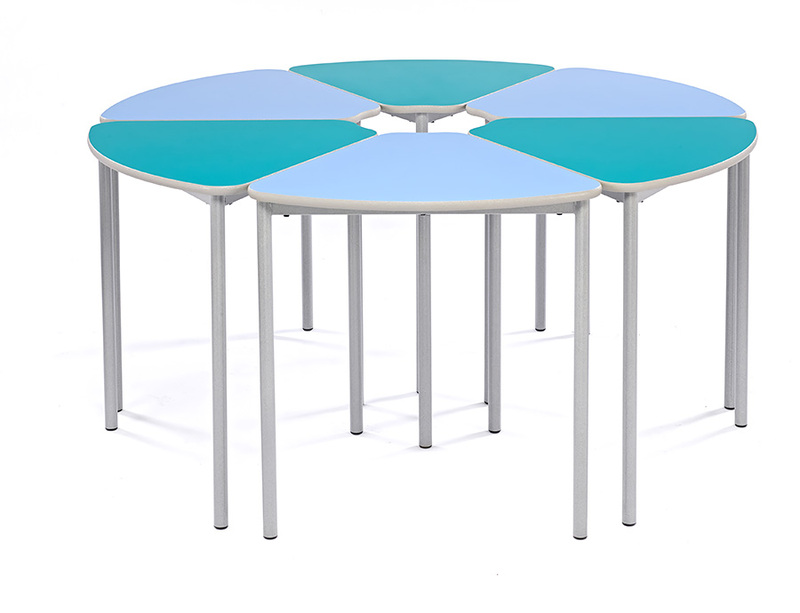 The unique shape of each table allows you to create multiple shape combinations, including circle, semi-circle and s-shape. Each Segga table is manufactured with a sturdy 32mm, fully welded steel frame which is finished with a speckled light grey paint. 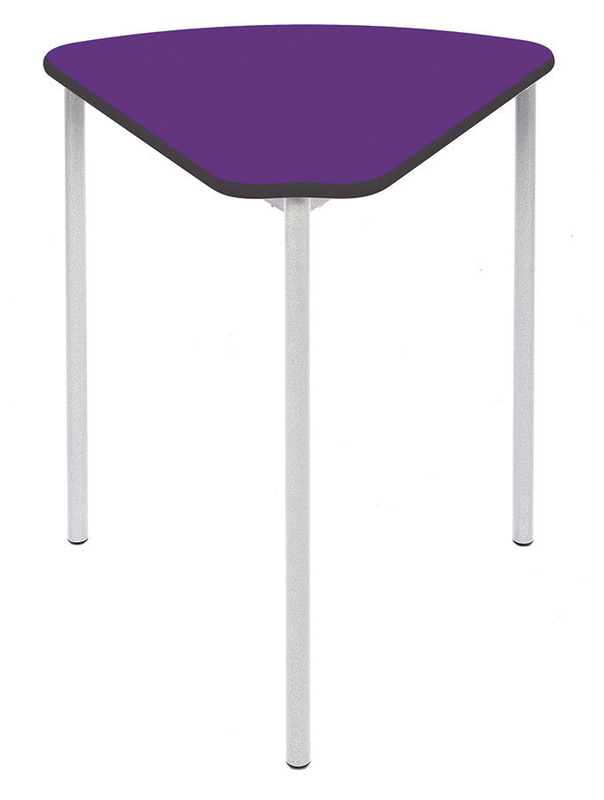 The 18mm laminate table top is available in 11 vibrant colours. 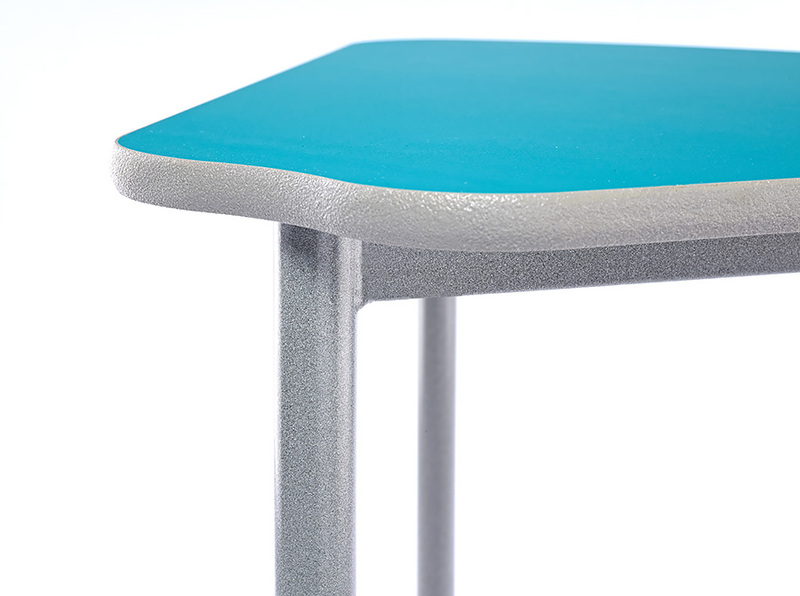 The table top features a textured spray PU edge which is hard wearing and comes in a choice of 3 colours - blue, light grey and charcoal. 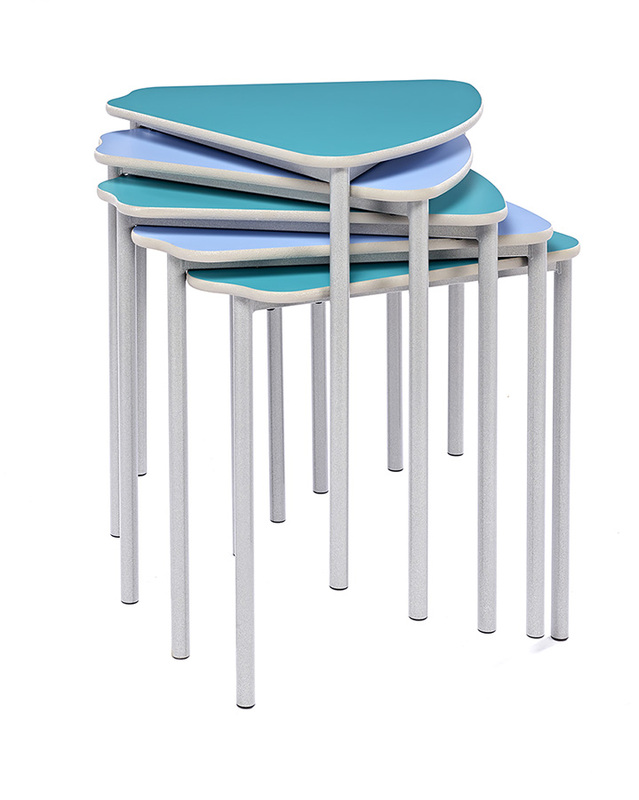 Segga tables can be stacked up to 5 high, allowing for easy storage when not in use. 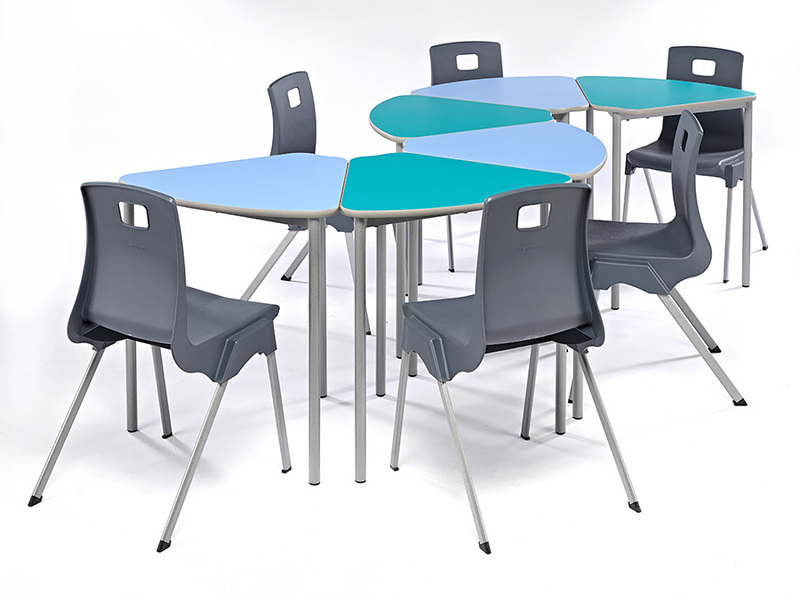 These classroom tables, sold in packs of three, are fully EN1729 compliant and include a 5 year warranty. 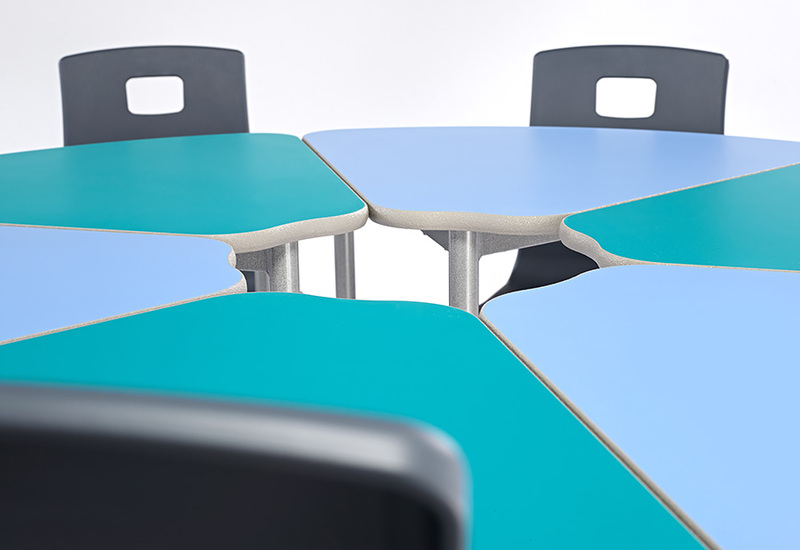 PLEASE NOTE: These classroom tables are sold in packs of 3 only. Therefore, adding a quantity of 1 into your basket will order a pack of 3 tables, quantity of 2 is 6 tables etc. For more information please Contact Us or call us on 01733 511121.